0 reviews Most guests find this Hotel as correct. 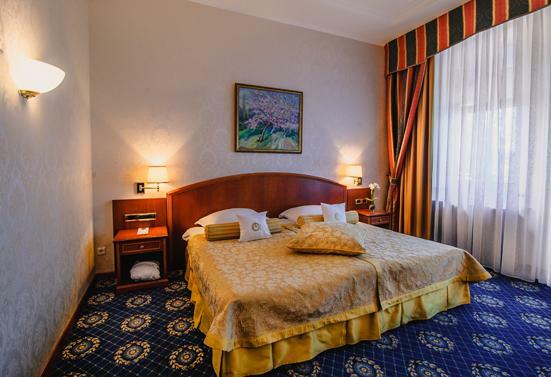 Among others, the Bristol Hotel Yalta offers the following services: Room Service, Non-Smoking Rooms and Refrigerator. Moreover concierge service provides personalized services for guests, but also the banquet facilities include audio and visual equipment. In addition to it allows you to have a great dining experience at the restaurant, on the other hand, its convention center is outstanding. The 3 star Hotel Bristol is located in the heart of Yalta on the embankment, right across the sea port. A XIX century building is called Old Town and attracts tourists from all over the world. The Hotel rooms have picturesque views.